Today we share with you an in-depth interview: we had the honor of conducting with Globular this summer. Please enjoy and share with friends and fans of his music! Globular’s music is a bubbling mass of virtual sounds designed to stimulate the ears, tickle the brain and move the body. 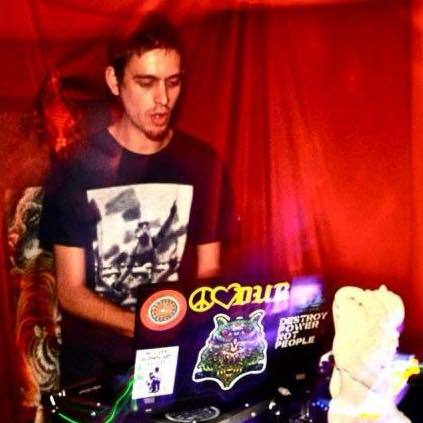 Deep dubbed-out bass lines provide the bedrock for the harmonic intricacies and grooving melodies that typify his sound. 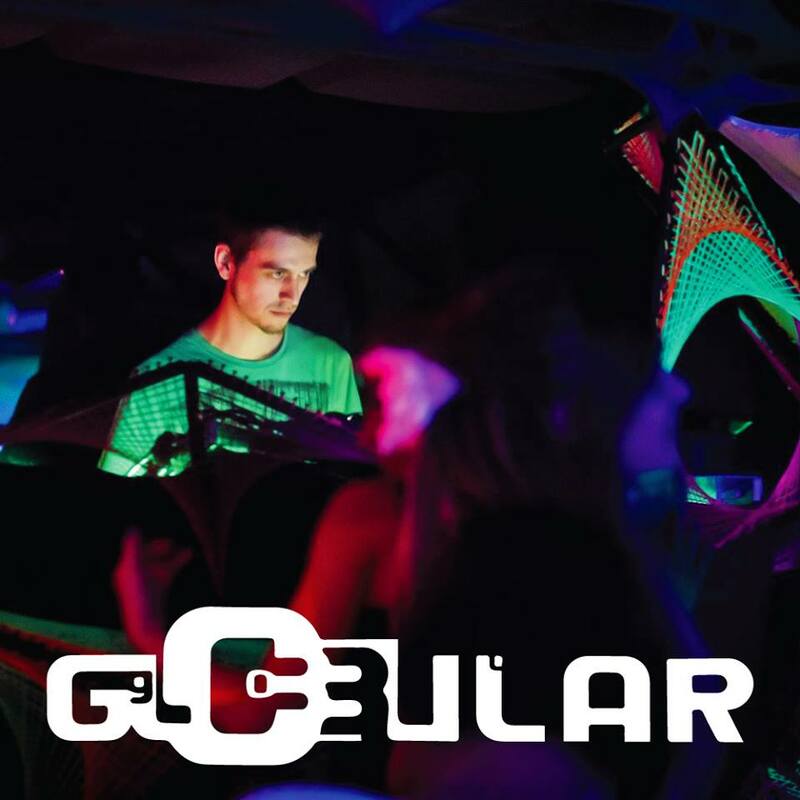 Globular strives to take listeners on a journey of their own choosing, encouraging all who enter to create their own stories and to dance their own dance.. Written by Floyd 2.0 and Gagarin, edited by Kevin and Tanya in autumn 2015. So let’s start with the first question. Tell us your musical story. Where did you start and how did you end up where you are today? Do you listen to music of other artists and what are your recent discoveries? Yes, absolutely. I tried not to listen to similar music for a while, but I found it impossible, I just love hearing the crazy inventiveness of all the amazing artists out there. Recent release/discovery highlights for me have been Bwoy De Bhajan, RefraQ, Culprate, Koan Sound, Ryanosaurus – these people are putting out some seriously progressive (literally, not the genre) music at the moment, kinda blowing my mind. Also, all the releases from my brothers and sisters at Shanti Planti have been consistently awe-inspiring. Oh, and anything coming out of The Outtallectuals Collective too – they’re doing amazing things. Also I just finished listening to Entheogenic’s new album, which I’m loving, all the things I loved about them back in full swing! …too much? How do you experience producing? Is it a natural process / flow? Usually it is, yes. Most of the time the music just feel like it wants to be written, and it’s super f**king fun :) At the moment I’m in a bit of a bleak spot creatively though, which is annoying, but it just happens sometimes. What’s being written is good, but it’s slow progress..
What kind of gear do you love to use in the studio? Your first release was in 2010 with ‘Colours of the brainbow’, how did you experienced producing that first EP, was is it difficult to find a label? 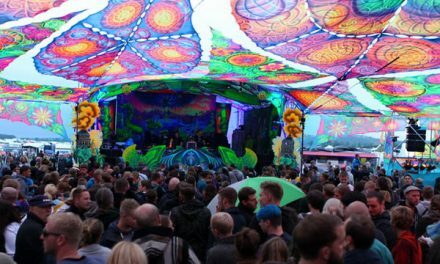 Would you associate yourself with Psychedelic Trance music scene? Tricky. Yes, I would associate myself, but only because of the ‘psychedelic’ link, and the fact that most live bookings are from psytrance parties.. I don’t really listen to psytrance or get a lot out of it myself. But it’s a good and relatively healthy [p]symbiosis between the scenes I think. On your 2nd release (In Formation), you used some more dubby sounds, how did that come to play? Man, this is like, 5 years ago or something, I can’t remember that far back ;) I think I discovered Ott some time after Shpongle etc, so that may have had something to do with it… I’ve always been in love with off-beat reggae rhythms though – I love ska, reggae and dub sounds, and find it almost impossible to write a track without an off-beat element. I also love writing melodic bass lines, and that fits with dub pretty well..
At that stage you got compared with sounds like Ott and Entheogenic, do you agree with that? Well they were both of huge inspiration to me, so I couldn’t really disagree. I don’t mind comparisons to superb producers haha but I do like to think I added something else and made it my own… I think there was something that really resonated with me in the sounds from those guys, without which I wouldn’t be making music, so it would be odd not to follow a similar path, sonically speaking. What are your favourite electronic music producers? 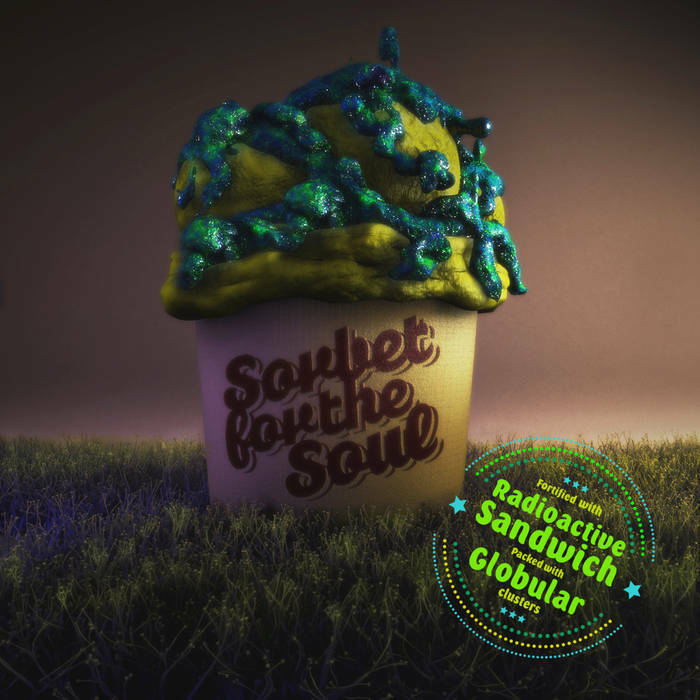 For ‘Sorbet for the Soul’ you got together with Radioactive Sandwich. How was that, working with someone else? And did that change the way you look at producing? ‘Magnitudes of order’ was a crowdfunded release, and you’ve had some success with crowdfunding elsewhere, can you tell us a bit about how that has worked for you? Well I’ve been really lucky in that my supporters are super generous and seem to love to get involved where they can – which is freakin awesome. It’s been a pretty simple process both times (I also crowdfunded a new pair of monitors to upgrade my studio) – basically I just give a simple, honest reason why I’m looking to raise some cash, and I think most people see the sincerity and openness as a goods thing, and get stuck in (thaaaank you!). I’ve seen a bit of beggar-bashing (?) on other artists pages who are doing similar things, and it really saddens me to see. We’re all – as digital artists – going through a turbulent and transitionary phase in working out how we continue to support ourselves whilst providing a good service/product/art. Making a living by selling your actual recordings is something only really viable for huge acts, so as smaller artists it has become necessary to explore new ways of doing things, and that’s what we’re doing, exploring – no one has the answer at the moment, and with the speed that technology is changing, maybe we never will – but the best we can do is experiment and see what methods resonate with fans in a way that allows us to continue doing what we all love. From that moment on you tried to live off your music, how is that working out? Yeah, I quit my ‘real’ job a few years ago to try and live full lime off my music. It’s going OK, but I still have to rely on government benefits to get by – without them it wouldn’t be possible at the moment. It looks like the [tory, conservative, nasty, evil, divisive, murderous, etc tec] UK government is going to stop (or at least drastically slash) a lot of these types of benefits pretty soon though, so I don’t know how much longer I’ll be able to carry on full time (more gigs please). Your latest release ‘ Digging & Building’, has a much more deeper sound to it, am i right about that? And is that what we are gonna hear in the future from Globular? What are your artistic plans for 2015-2016? Getting this next album done. I’m not giving myself a deadline, as I’m terrible at working (creatively) under pressure. But, that is definitely my main focus at the moment. I’ve not got a particularly busy summer gig schedule, so I’m hoping I’ll have plenty of time and sunshine to channel into these songs..
What’s your biggest motivation to keep producing? a) I love the interaction with people who are enjoying my music,whether that’s at a live show, or through comments on songs, or through getting in touch via my facebook page – it’s a real treat to see people get joy from something you created. b) I just love writing music. The actual process is so cathartic and euphoric when you really hit the spot with a track, it’s kind of addictive..
c) I don’t know what else I would do with myself. The idea of working a 9 – 5 job just to get by has always been something of a nightmare scenario – I think if I didn’t work with what skills I’ve got to avoid that situation, I’d be doing a disservice to all those who have no choice – anyone who has the privilege of choice would be doing the same thing I imagine. What is the most challenging for you as a producer? How much time can you spend in the studio? Essentially I can spend as long as I like in the studio – as long as I say hi to my girlfriend and do some washing up every now and then I’m left in peace.. But the biggest challenge I guess is that same old one since I started: faithfully recreating the sounds in your head. It’s really f**king difficult actually.. sometimes not so, but a lot of it is a real struggle to get it right. 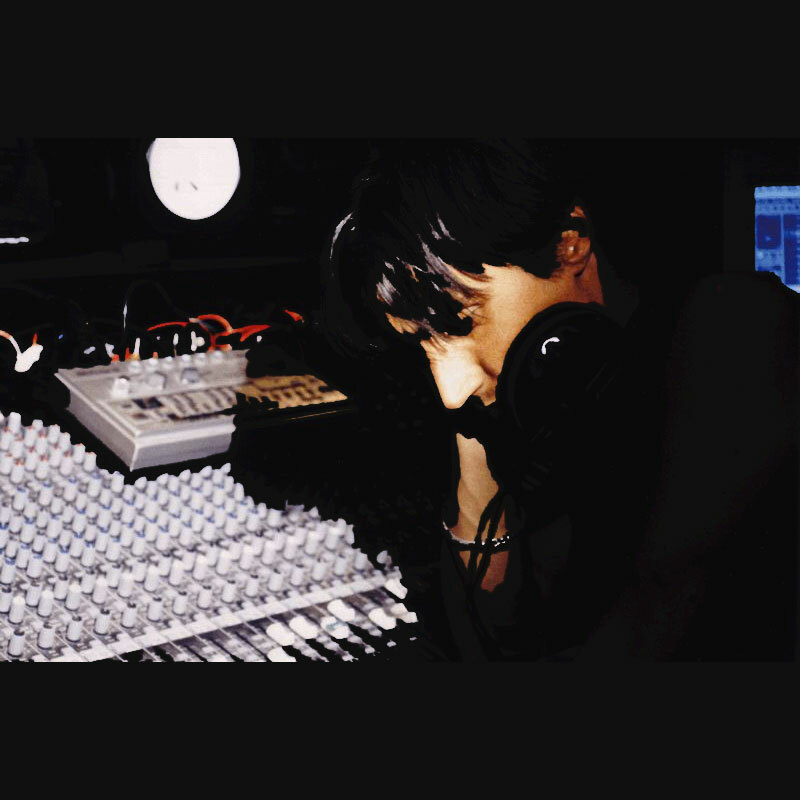 I don’t consider myself much of a sound designer, more of a songwriter, so interesting sound design is definitely a struggle for me – I enjoy the process, but I’m not a natural. When you’re not in the studio, what do you like doing? How do you spend your free time? Cooking is a big part of my life. I’m not a fancy chef, but I love playing with my food ;) If I find I need a break from the studio, the kitchen is usually the first place I turn to. Otherwise just hanging out with my amazing girlfriend and housemates, tending the garden, reading, watching interesting lectures.. I’m a person of simple pleasures..
Festival season is just around the corner now. Are there any shows you’re especially excited for this season? I’ve not got a whole lot on, but Psy-Fi (NL) and Future Nature (HR) should be super fun :) Especially excited for Psy-Fi – but I can’t tell you why just yet..! I also have a Bristol Tribe of Frog gig coming up, and it’s always nice to play a home crowd. What are the usual events that you are booked to play? 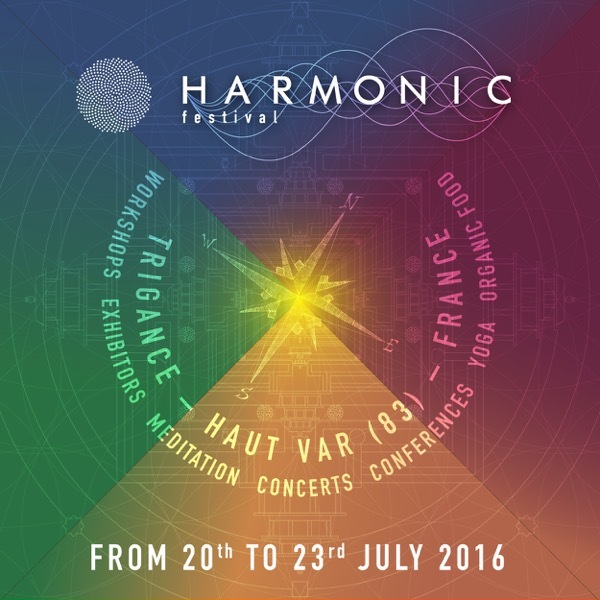 Mainly it’s chillout stages of european psytrance parties. More EU gigs than UK gigs, which is cool, and not cool, at the same time haha. Also it seems the the standalone just-downtempo event format is more and more prominent, so I’d love to see more of that. What is your best festival experience as a listener and as a artist? 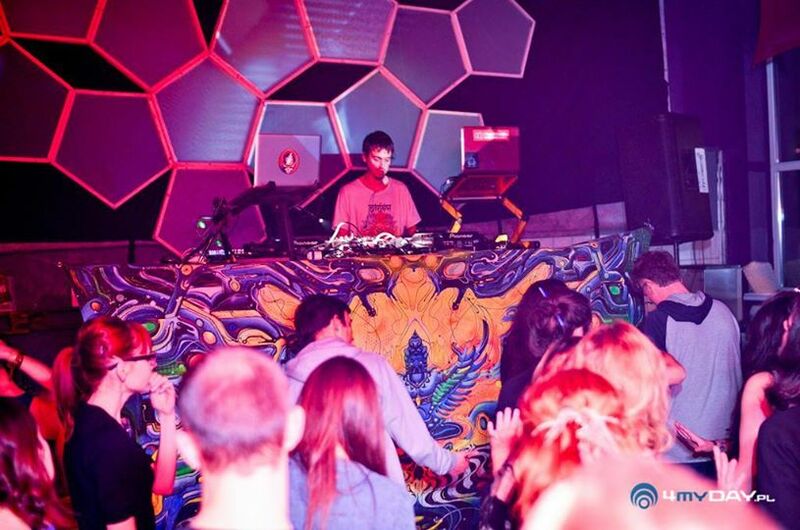 I think playing CoSM a few months back was a really big deal for me – I got to headline the event due to a travel mix up with Govinda – so I ended up following him, and he finished his set with some really pumping psybreaks… so then taking the crowd back down a notch into the dub zone, whilst still maintaining the euphoria was a real pleasure. 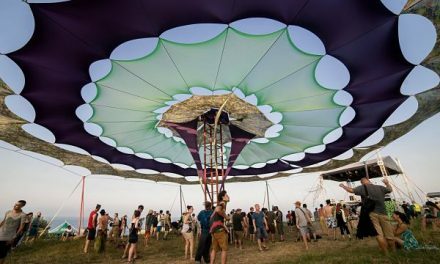 Huge amounts of love and gratitude for all the support – globular loves you ;) And big thanks to you guys here at Psybient.org for all your efforts in expanding the scene and spreading the music!